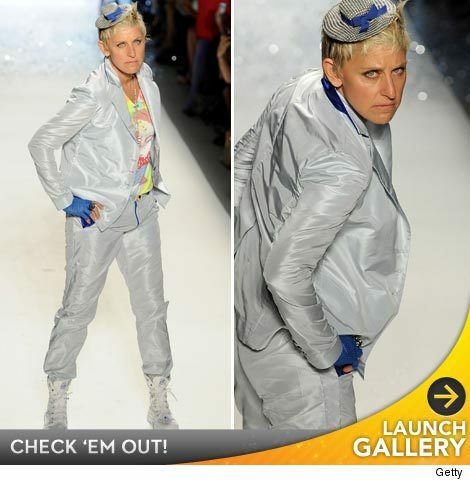 With her "American Idol" gig behind her, Ellen DeGeneres found a new side-job: Runway model. The hilarious talk show host hit the catwalk last night for Richie Rich's Mercedes-Benz Fashion Week show in NYC -- where she gave off her best Blue Steel look for the cameras. Wife Portia de Rossi watched from the front row. Check out more shots from the show -- plus a backstage look at all the models getting ready! "Project Runway" at Fashion Week! Mercedes-Benz Fashion Week's Sexiest Suits!